Hidradenitis suppurativa is a skin disease, which is characterized by the appearance of abscess-like lesions at the level of the armpits, groins, inner thighs and buttocks. The condition is marked by outbreak periods, with inflammation, purulent discharge and scarring being among the most common symptoms. Patients who suffer from this skin condition might also present a number of additional health problems, as you will have the opportunity to read below. It is highly important to be aware of these co-existent conditions, so that an adequate screening and treatment plans can be created and followed. According to a study published in Dermato & Endocrinology, auto-inflammatory disorders are among the most often diagnosed comorbidities in patients suffering from hidradenitis suppurativa. These include inflammatory bowel diseases, such as Crohn disease but also follicular occlusion disorders, spondylarthropathy and keratin disorders. The squamous cell carcinoma has also been found to be more prevalent among hidradenitis suppurativa patients. Some inherited conditions have been presented as comorbidities of this chronic skin conditions, including the KID (keratitis-ichthyosis-deafness) syndrome. It seems that the abnormal functioning of the immune system contributes to the appearance of these conditions. Patients diagnosed with hidradenitis suppurativa present a number of associated conditions but these do not necessarily have a common causality, as it has been demonstrated in a research study published in Seminars in Cutaneous Medicine and Surgery. The study draws attention to the fact that these patients often suffer from obesity, presenting other skin conditions as well. Both inflammatory and genetic conditions are named as comorbidities of hidradenitis suppurativa. The main idea is that the clinical intervention for these patients should always take into account existent comorbidities, as well as any potential complications (severe scarring, movement restriction etc.). 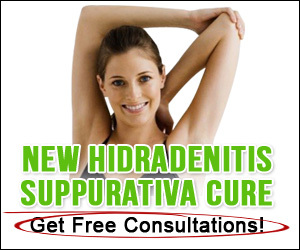 Hidradenitis suppurativa is a condition which presents an increased incidence rate, despite the fact that it often goes undiagnosed. As a study published by Elsevier has pointed out, patients might also suffer from the metabolic syndrome and heart conditions. Heavy smokers are found to present this condition more often. Somatic comorbidities are present as well, with rheumatologic conditions and malignancies. The authors of the study draw attention to the importance of the psychological impact that this condition causes, as well as the need to consider all of these comorbidities for both screening and treatment. As a study published in the Journal of the American Academy of Dermatology has highlighted, hidradenitis suppurativa has a high comorbidity burden. The study was undertaken on over 2000 patients, identifying a number of associated conditions for patients suffering from this chronic skin condition. Arthropaties (inflammation of one or more joints), polycystic ovarian syndrome, dyslipidemia, diabetes, lymphoma and thyroid disease were found to be comorbidities of hidradenitis suppurativa. The authors of the study have also drawn attention to the association with heavy smoking, alcohol and drug dependence. This article’s aim is not to further alarm and worry hidradenitis suppurativa patients, but rather to raise awareness, as knowing the associated comorbidities might facilitate both the screening and treatment for this chronic skin condition. It must be emphasized that underlying factors for both HS and the comorbities mentioned are obesity, smoking, and emotional factors. If you are overweight, do make it a point to tackle your weight and if you smoke – quit. These changes will not only improve your HS but decrease your risk of suffering other conditions mentioned. You should also seek out professional help if you battle with mental health issues including anxiety and depression. These can be destructive if not acknowledged and tackled with the help of a professional. 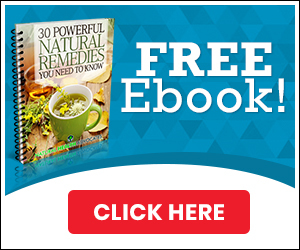 Written by Therese Wilson – nutritionist, health consultant, and author of Fast Hidradenitis Suppurativa Cure.